Kate. I love your doggies. Great idea to put on a plate. I don't blame you, those puppies look really fun. 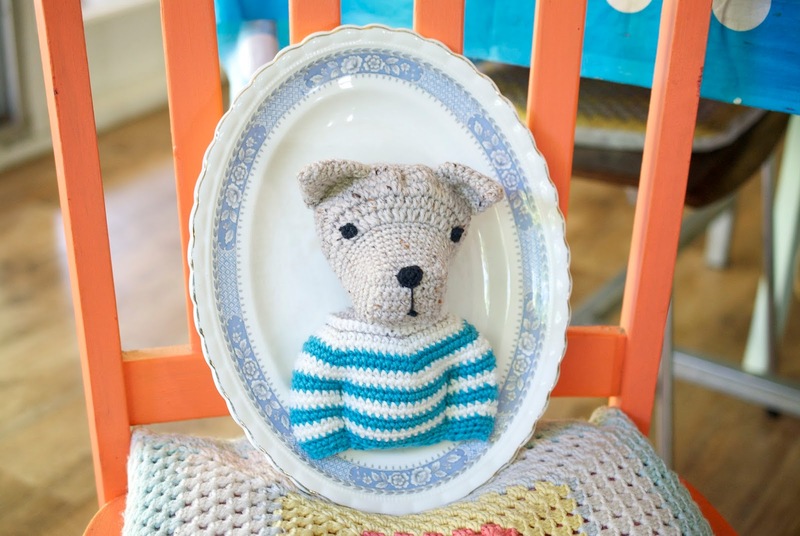 The puppy on the plate is charming -you could do a whole series, like puppy family portraits. Wouldn't that be living the dream!!! Very cute, love the 'paws' in the pockets! There so cute...the one on the plate is also amazing! hello, just found your blog.. so interesting & colorful. hated to see you haven't posted since Nov..
sure hope all is ok & you are just on an extended vacation. 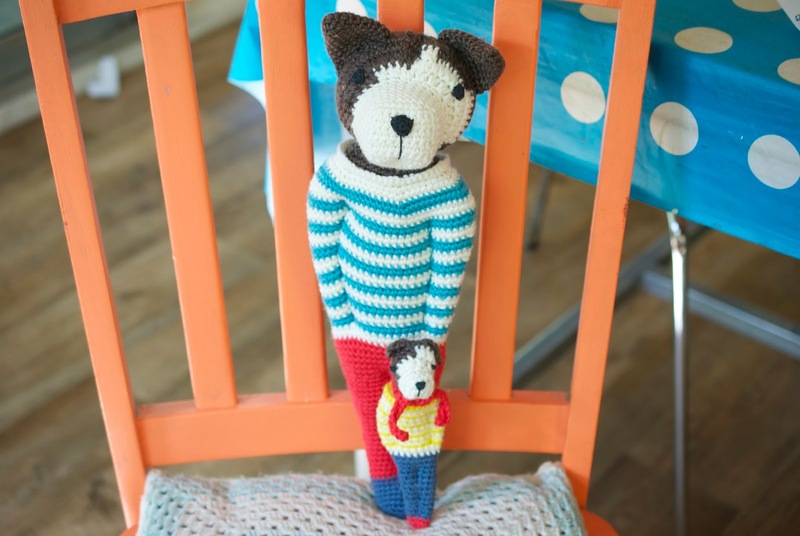 Do you sell a book or a pattern for the Dog Days dog?